Veritas enables companies to harness their information, bolstering business success in even the most complex environments. Veritas provides solutions for organisations of all sizes. In fact, Veritas has been recognized as a leader in the Gartner Magic Quadrant for both Enterprise Backup Software and Integrated Appliances and Enterprise Information Archiving. Veritas along with Wroffy Technologies helps its customers improve their data availability, backup and unlock insights to make them more competitive. With more than 7800 employees in 58 countries around the world, Veritas is a $2.5 billion company that partners with the largest technology leaders, including Cisco, Fujitsu, Google, Amazon, Hitachi, HP, IBM, Microsoft, OpenStack, Symantec, and many more. Wroffy and Veritas have collaborated on many projects with its widely used data protection software and our professional services. Wroffy’s deep understanding & experience of vertical markets, customer relationships and services along with our partnership with Veritas data protection platform has helped many organization in transformation of customer’s data center. Veritas along with Wroffy Technologies helps enterprises to protect, identify, and manage data using intelligent information management solutions. With Veritas, enterprises have the insight and availability they need to understand what information they have, know how to keep it protected, and realize what they should delete. 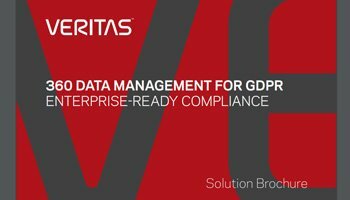 Organizations looking for data protection solutions can benefit from Veritas and Wroffy partnership. 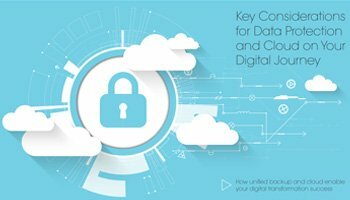 Wroffy & Veritas are committed to deliver data protection solutions which are optimized and meet industry standards. With products such as Backup Exec, NetBackup and Enterprise Vault, Veritas works to reduce the complexity around understanding your information, saving you time and money. We can also advise on Cloud Storage options and Disaster Recovery solutions. Veritas helps you retain control over your data, backup and recovery solution protect, locate & recover data & information across any combination of platform, application, storage environments and hybrid cloud architectures. Veritas helps you retain control over your important data, regardless of the complexity of your environment, to innovate business faster and run more efficiently with solutions across markets, technologies and applications. Modernize every aspect of data management through a comprehensive multicloud management solution. Compatible with virtually every platform, you get increased visibility, portability and storage optimization. Experience a tool that lets you better visualize your organization’s data, whether stored on-premises, in-private or in a public cloud. Identify risks faster. Make better business decisions & achieve operational efficiency like never before. 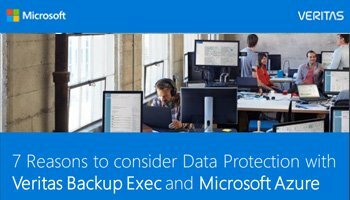 Keep your important data and critical applications up and running in the face of any disaster or outage. Automate data recovery across any distance to physical, virtual, or cloud with the predictability you require. Simplify workload migration to the multicloud. Increase flexibility by adopting clouds on your terms and run workloads as per requirement. Migrating back on-premises or to another cloud is as easy. Moving to the cloud should not be restrictive. Veritas Resiliency Platform offers proactive, predictable resiliency & seamless mobility for workloads across the multicloud. Ensure maximum uptime for your critical workloads. data storage optimization & data compliance. To find out more speak to one of our Veritas Sales specialists !